MIUI for 10 is now available for many Xiaomi smartphones, and the list now includes Poco F1. Although the Poco device only gets access to the beta build as of now, the firmware is very stable and even fixes some of the issues which the Poco F1 had the earlier versions of MIUI for Poco. Not only that, MIUI for 10 brings new UI elements including a completely redesigned quick settings panel, recents screen, new color scheme, and volume controls similar to Android Pie. The UI also brings faster transitions and animations among other visual refreshes. Beginning with the upgrade on paper, AnTuTu benchmark scores have shot up substantially since the update on both – 6GB and 8GB variant. 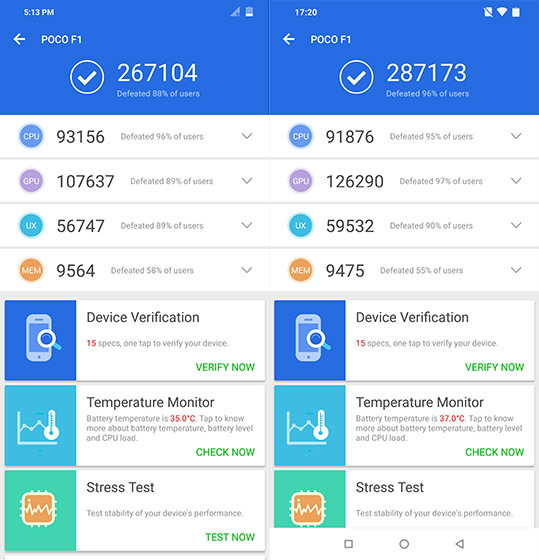 Below is a comparison of AnTuTu scores of Poco F1 running MIUI 9 and MIUI 10. 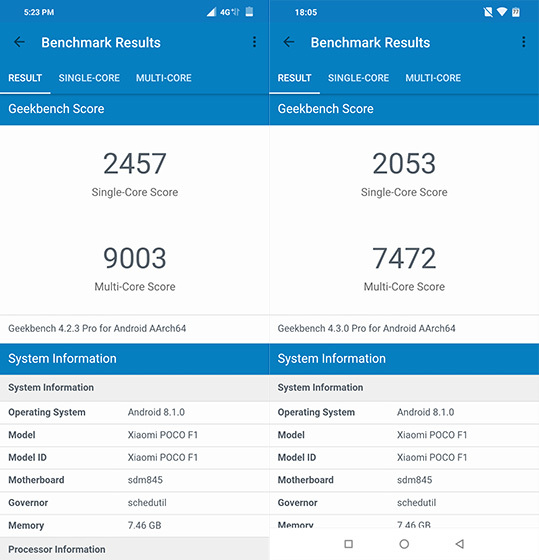 Contrastingly, Geekbench 4 scores tell an altogether different story but I feel the app might have not been optimized for the device because the smartphone feels as fast as ever with no observable lag in loading games or demanding apps. I have only been using MIUI 10 on Poco F1 for a couple of days and will only be able to note any performance discrepanacy after using it for a few more days. At the time of the launch, Xiaomi also talked about AI features in MIUI 10 which enhance the overall performance including faster launching apps, better battery, and improved camera performance. This is done by studying the behavior of the users and pre-loading apps before a user triggers an action to launch it. 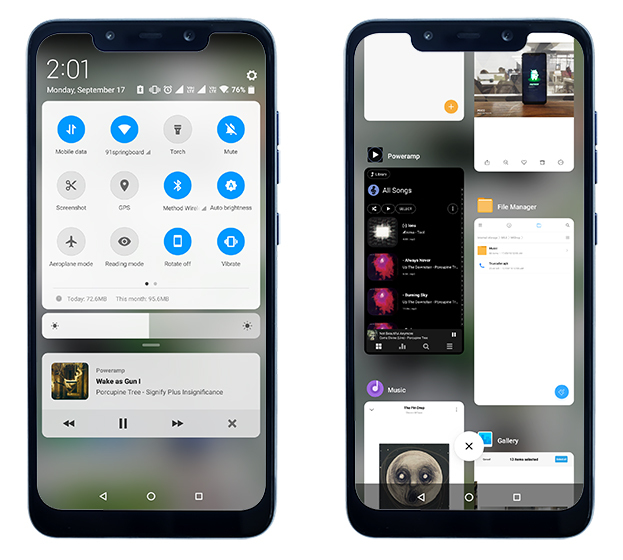 Another great feature that MIUI 10 brings to Poco F1 is the Picture-in-Picture mode which lets you pull apps like Google Maps, WhatsApp while video calling, VLC Player, or Chrome over other apps to let you enjoy rich features from many apps at once. The MIUI 10 beta update for Poco F1 also fixes some of the issues faced by users in the previous version of MIUI, including the lack of “OK Google” hotword support as well as the issue of patchy sound on PUBG Mobile. Meanwhile, a stable MIUI 10 update is rolling out to a bunch of devices while Xiaomi has also begun testing MIUI 10 based on Android Pie on flagship devices including Mi 8 and Mi MIX 2S. So I’m highly eager to play with those updates on the Poco F1 but for now, MIUI 10 beta is a good and exciting starting point. 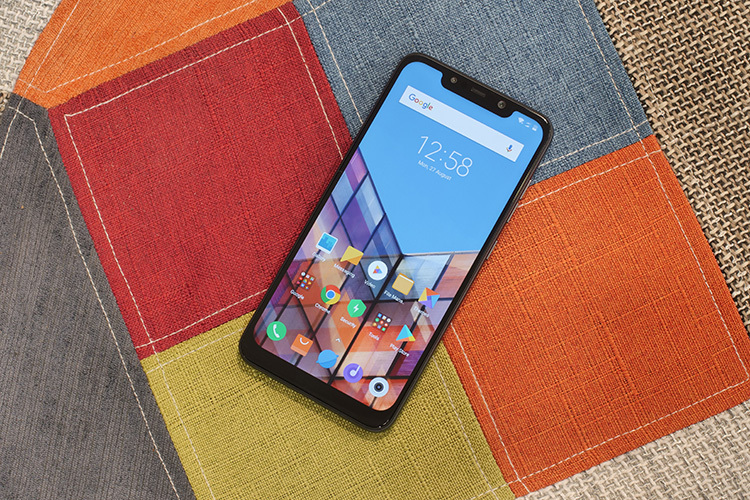 You can use this guide to know how to install MIUI 10 beta on the Poco F1, but make sure that you take a full back up of your data, including contacts, as you might lose them in the process.